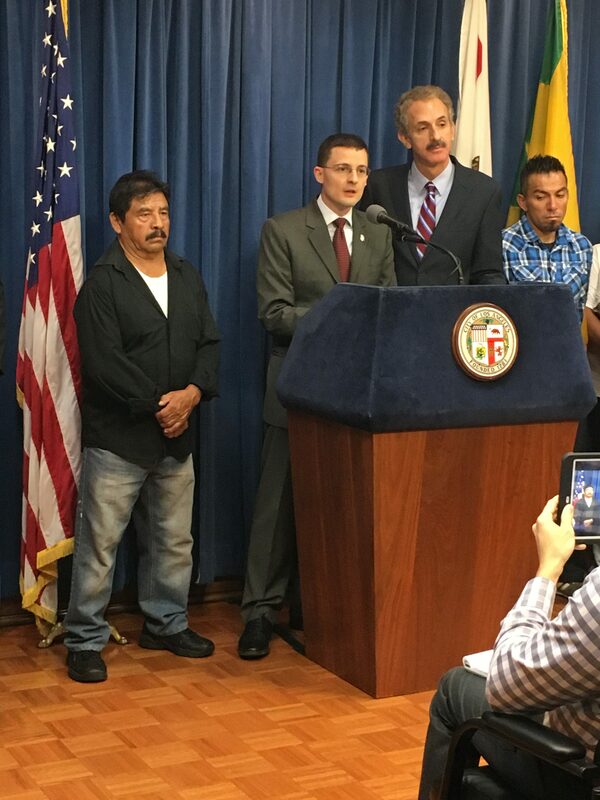 Matt DeCarolis, Bet Tzedek Employment Rights Project staff attorney with L.A. City Attorney Mike Feuer and clients. The civil enforcement suit, initially filed in January, alleged that these workers were paid as low as $4.50 per hour, worked long hours without overtime pay or mandatory breaks, and that the defendants—Silverlake Car Wash and Catalina Car Wash—falsified records in an attempt to deny these allegations. The agreement puts in place a four-year injunction requiring the defendants to comply with the law and, in addition to the $1M, the defendants will pay over half a million dollars in civil penalties and litigation costs. This historic settlement demonstrates that wage theft and worker mistreatment will not be tolerated in the city of Los Angeles. Los Angeles County holds the dubious distinction of wage theft capital of the nation, with an estimated $26 million in wages stolen from workers every week. Low-wage workers are extremely vulnerable to other abuses, retaliation, harassment, and trafficking. Bet Tzedek has a rich history of leading the fight for workers’ rights in Los Angeles, securing over $36 million in settlements and judgments for low-wage and trafficked laborers since 2001. Bet Tzedek is also the only legal aid in the southland assisting undocumented immigrant workers, who comprise a major share of LA County’s low-wage workforce and are the most frequent targets for employer abuses and exploitation. Bet Tzedek attorney Matthew DeCarolis encouraged other workers to report wage theft and abuse. “Clients like ours were very brave in stepping up and speaking to the city attorney’s office,” said DeCarolis. 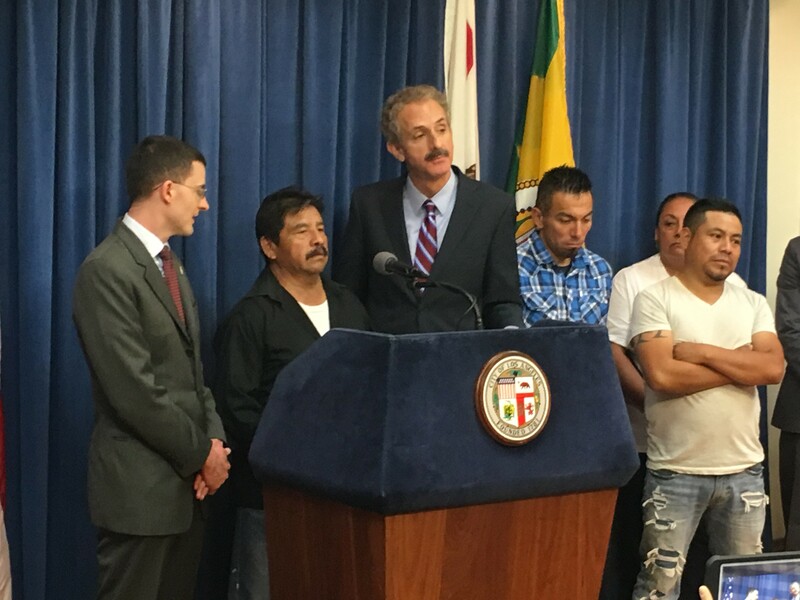 “We get the results like today’s settlement when workers step forward.” If you are a victim of wage theft, please reach out to us at 323-939-0506, or contact the LA City Attorney’s office at 213-978-1868.